David Attenborough reads his revised and updated edition of the "Sunday Times" bestseller. David Attenborough is one of the most influential, admired and best-liked figures in television. When, aged 26, he applied for a job in the BBC - which then meant radio - he was promptly turned down. But someone saw his rejected application letter and asked, would he like to try television? He would, and almost 60 years later he is still at it. Elegantly told and often very funny, his story includes how he introduced colour television to Britain, and the background to his epic series, such as "Life on Earth" and "Life in Cold Blood". This is a complete and unabridged reading by David Attenborough. 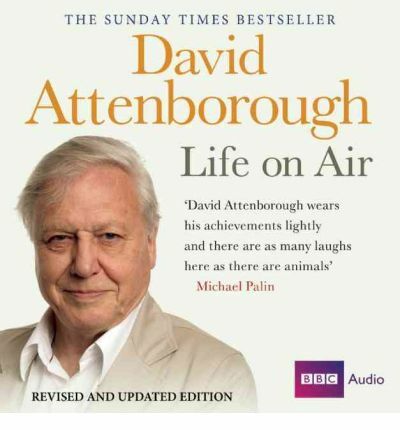 'Attenborough's familiar voice comes through in every line, his curiosity as sharp today as it was when he started in broadcasting...' - "Daily Telegraph". 'What shines through most of all is his enthusiasm...' - "Sunday Telegraph". About the Author: Sir David Attenborough is Britain's best-known natural history filmmaker. His career as a naturalist and broadcaster has spanned nearly five decades. His landmark BBC series include Life of Mammals (2002) and Life in the Undergrowth (2005).